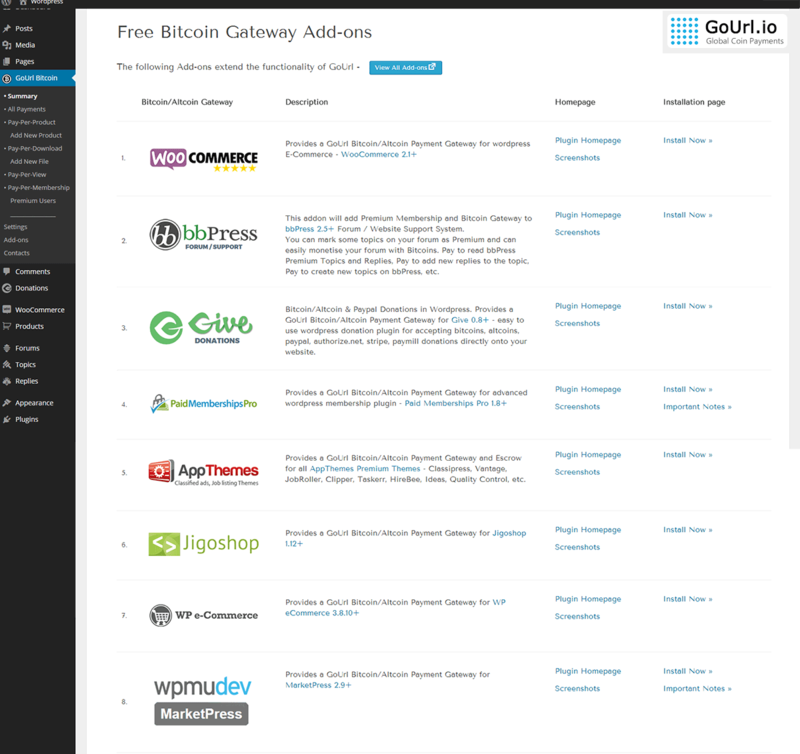 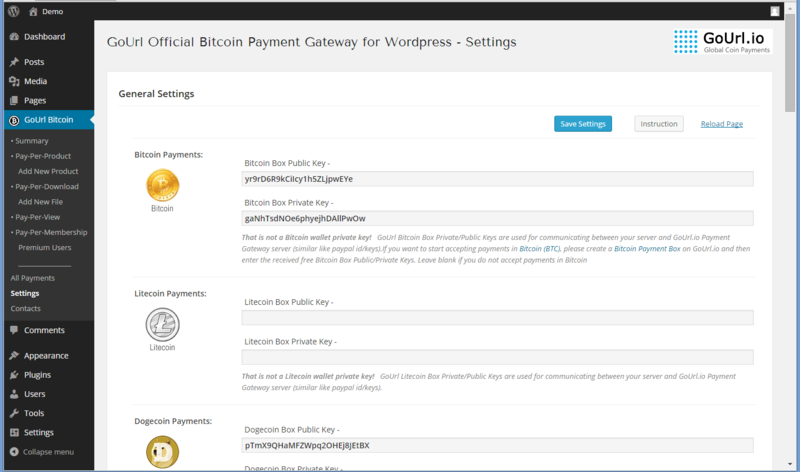 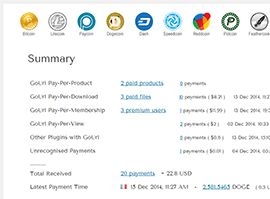 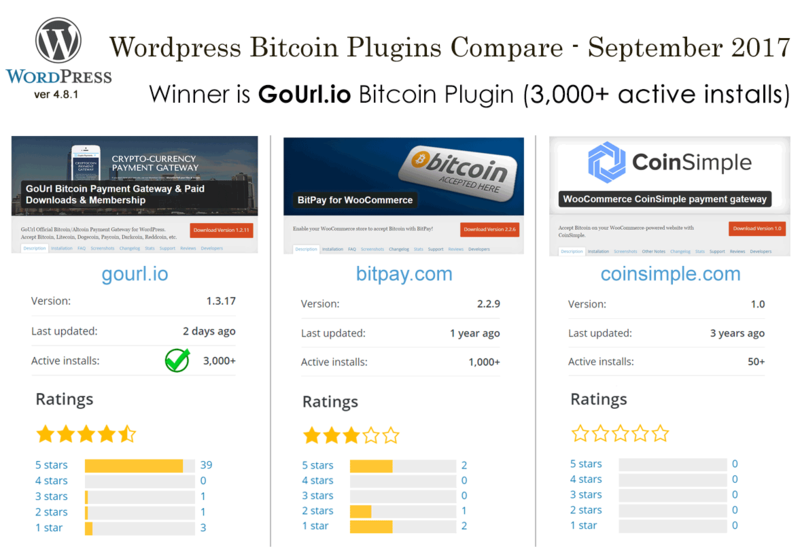 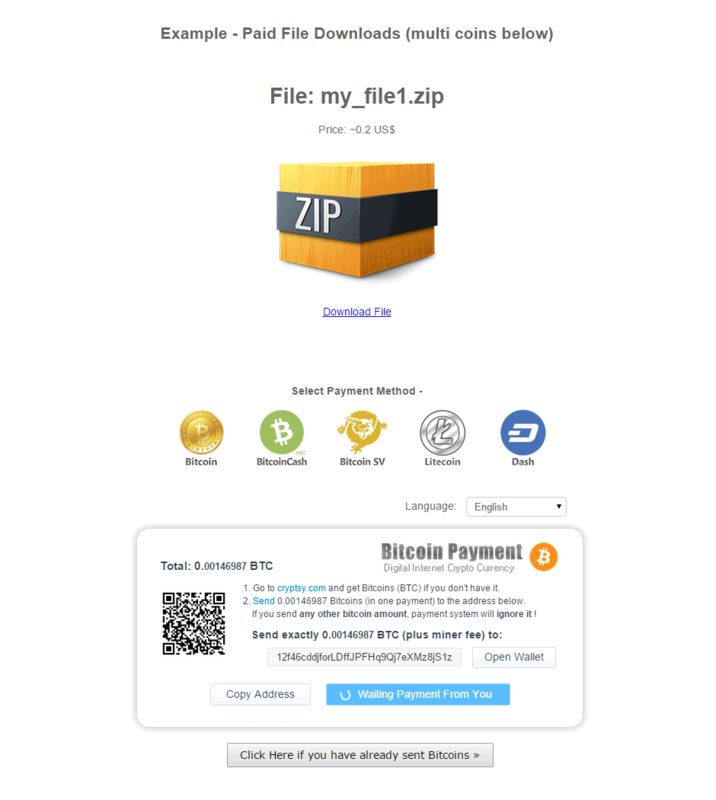 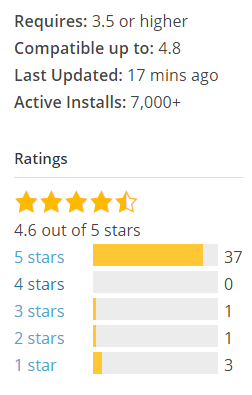 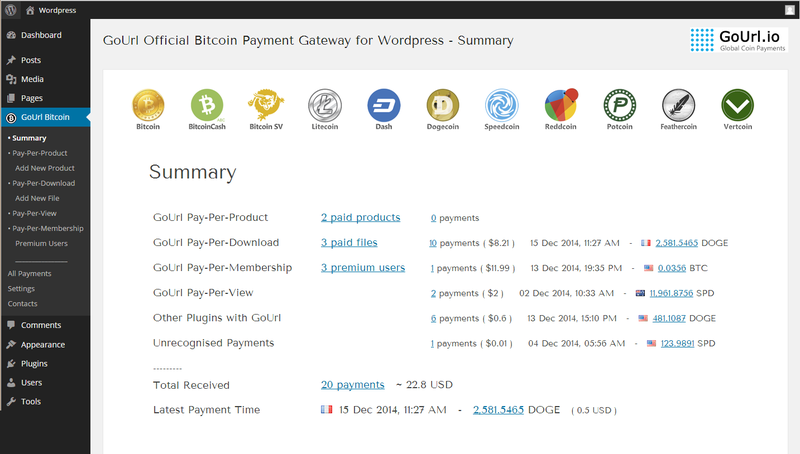 Upload the zipped gourl_wordpress file and click "Upload Now"
Activate the "GoUrl Bitcoin Payment Gateway & Paid Downloads & Membership"
THAT'S IT! 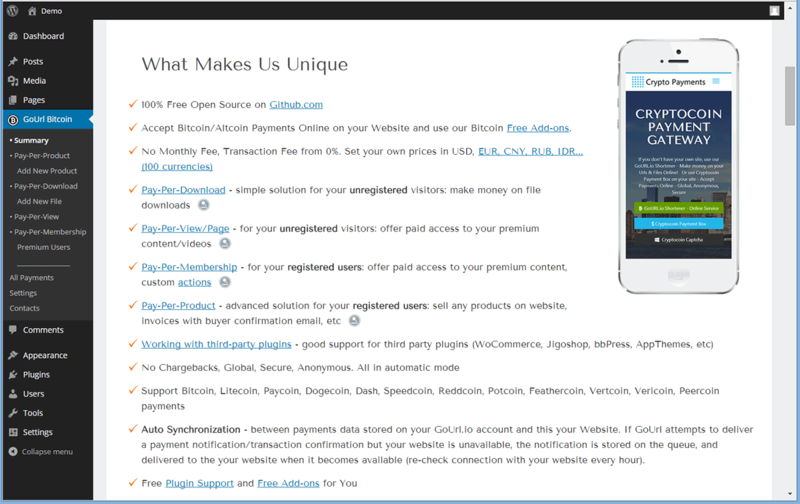 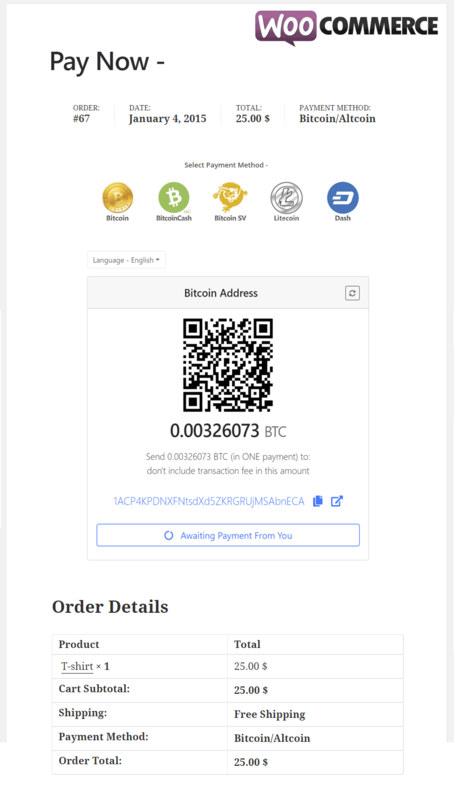 YOUR WEBSITE IS READY TO ACCEPT BITCOINS ONLINE! 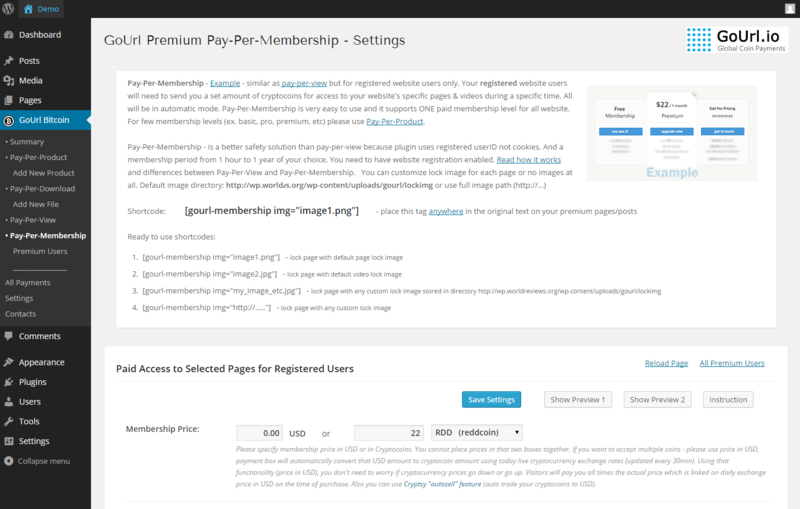 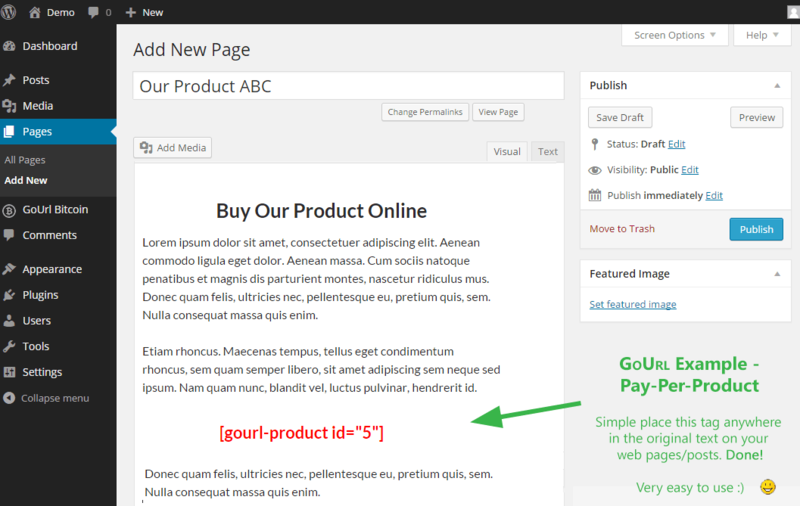 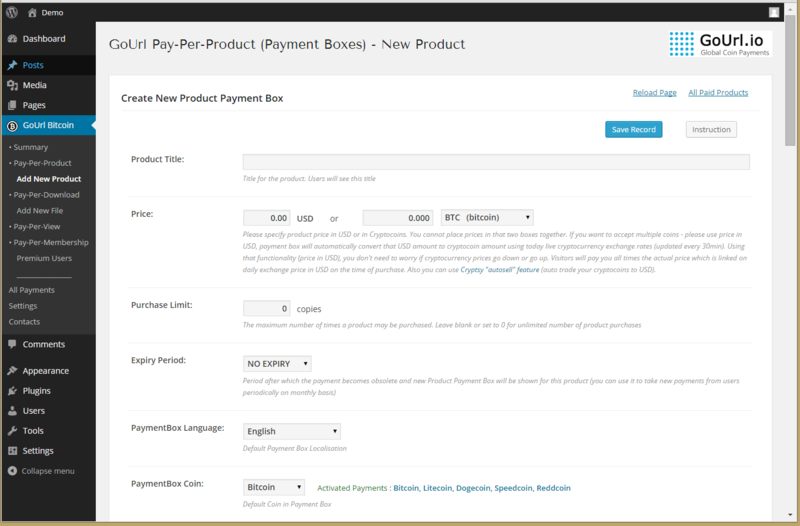 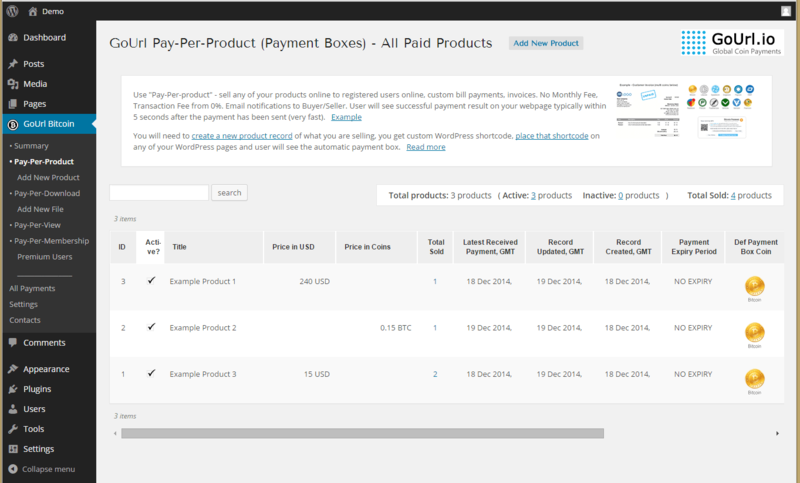 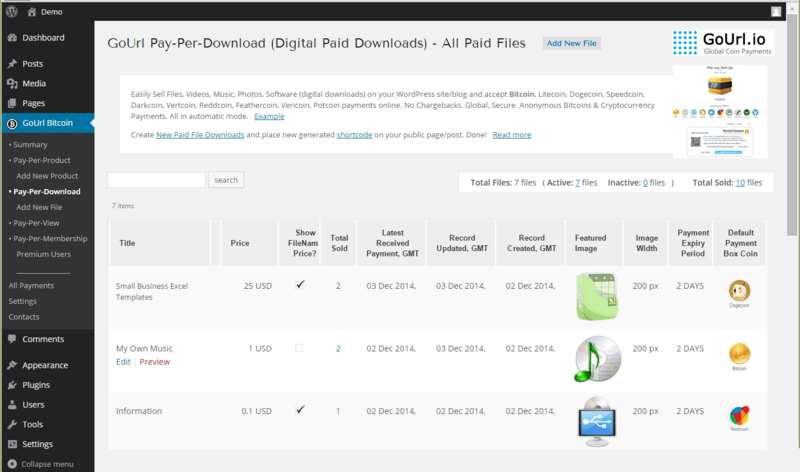 Now you can add paid products, files for sale using "Add New Product" or "Add New File"